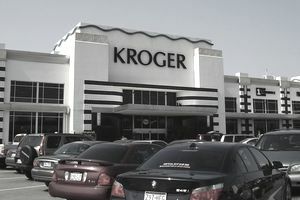 The biggest supermarket company in the world is the Kroger company. That may surprise you if you don't even have a Kroger's in your neighborhood, but you may have noticed one of the other brands that operate under the company's umbrella: Ralphs, King Soopers, and Dillon's, to name a few. There may be other names you're unfamiliar with in the 2018 list of the world's largest supermarket chains, compiled by STORES Magazine, the National Retail Federation's publication, based on research by Kantar Consulting. Nonetheless, these are the biggest supermarket names in the world, based on 2017 sales. For some, like Amazon and Walmart, groceries are merely a division within a giant retailer. Others, like Publix Supermarkets, stick to groceries. Other names on the list may be more familiar for the regional brands they have acquired. Albertsons owns Safeway, Acme and Tom Thumb. H-E-B also owns organic retailer Central Market. Southeastern Grocers may be better known as Winn Dixie. Others have a higher profile outside the U.S. Royal Ahold Delhaize got its start in northern Europe, but its U.S. division now owns Stop & Shop, Giant, and Peapod. Several of the companies in the list of biggest supermarket retailers also show up in the list of the 10 biggest global companies. But only two, Kroger and Albertson, are defined primarily as supermarket chains.